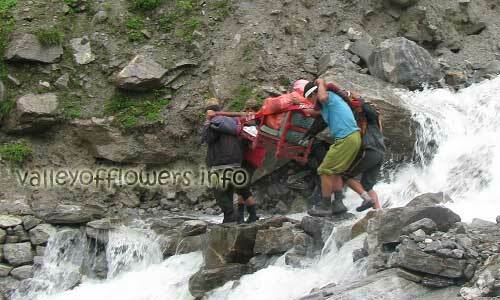 Home › Valley of flowers › How difficult is Valley of Flowers trek. This is very common question from people who wish to come to Valley of Flowers. Valley of Flowers trek needs one track for four days. The trek begins at Govindghat. Govindghat is 25 kilometers before Badrinath. Govindghat is at the height of 5500 feet and Ghangaria is at the height of 10,200 feet. That is the gain 4700 feet after trekking for 14 km. The trek is steep in its first 3 km and last 3 kilometers. Today’s trek may be avoided by taking pony or using helicopter. Helicopter service can be used only when weather is clear but the best time to visit Valley of Flowers is the monsoon season. So you cannot rely on helicopter on this day. You may or may not get helicopter but you can easily get pony for Ghangaria. For elderly people even palanquins are available. But I have personally seen that many a times elderly people trek whereas some of the young people in young 30s take ponies. Ghangaria to Valley of Flowers is not so steep trek as once you reach to the official starting point of the Valley of Flowers it almost at the same level for the next 3-4 kilometers. The official starting point of the Valley is almost 3.5 km from Ghangaria and according to me out of this 50% is steep uphill and the remaining is not so steep. This day ponies are not available as they are not allowed to enter in the valley. But Palanquins and Doli’s are available. But you need to buy the entry tickets for the porters as well. Their help can be taken up to the first three kilometers and after that you can trek as it is almost flat. But I recommend you to trek only or you will miss out lot of flowers on the way while in to Doli or Palanquin. Valley of Flowers is almost flat after its official starting point. This is quite steep and I recommend to take a pony at least while going uphill. This saves time and energy both. 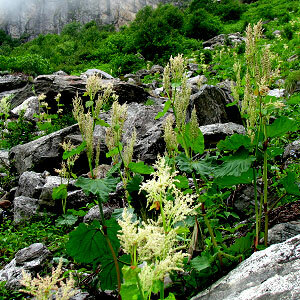 If you have booked your trip with us we will be trekking beyond Hemkund Sahib where some of the rare flowers bloom. They are not even available in the Valley of Flowers. While coming back you can walk down. Ghangaria to Hemkund Sahib Trek is bit steep. Almost 1 km altitude is to be gained by trekking for about 6 kilometers. It is purely downhill as opposed to explained in Para 1 but if you want to save time you can use pony or Helicopter. I am a moderate level asthma patient. Do u think I can still come for the trek ? I have done Vaishnodevi so is the oxygen level same as vaishno Devi/Bhairav ghati or more ? If more what’s the difference ? I am planning a trip starting Aug 12 -18 and intend to cover both Valley of Flowers and Hemkund Sahib trek. Kindly share a detailed itinerary along with the cost inclusive of stay and meals including cost of hiring potters, ponnies, etc. we are 4 adults 2 kids and traveling by road in two self driven SUVs. an early reply is solicited. Looking forward to a prompt response so we can book our train tickets from Delhi to Haridwar. Interested for this trek. Me and my wife. Around 20-23 August is what we prefer. Kindly mail me the complete itinerary and the charges. My wife and myself both are bulky, so please suggest whether we can take this up. Pls send me detailed itinerary. Pls sujjest weather it one can go from Auli or not. Also pls let me know weather one can join alone. Hi can you send the detailed itinerary please. We cannot trek as me and my over 65 yrs old mom have arthritis but want to visit Valley of Flowers this July . Is it possible in anyways ? Hello Mam, You can take helicopter from Govindghat to Ghangaria and pony, portors, Palanquin are also available there. A detailed itinerary has been sent to you please go through it you can call us on 9991242759 anytime. Could you please send the complete itinerary and package cost. Hi, this looks interesting, can you please send me the itinerary as well. A detailed itinerary has been mailed to you. You can call us on 9991242759 for more information. The trek from Govindgarh to Ghangharia seems too long and that too steep. 14 KM is a long trek to cover in a day. I walk everyday at home for an hour and longer periods on weekends. But 14 KM appears too much. Please clarify the difficulty of the trek. We will start from Govindghat and reach Pulna Village by road. Pulna is a small village 3 km from Govindghat. Earlier the trek used to start from Govindghat but now a new road has been constructed between Govindghat and Pulna. From Pulna the trek to Ghangaria is 10 km. You can easily get ponies from Govindghat to Ghangaria. Other option is to take Helicopter or Palanquin/porter. Helicopter will fly only when weather conditions are ok.
A detailed itinerary has been sent to you please go through it. For more information you can call us on 9991242759 or drop a message so that we can discuss over phone for the Trek. I am planning to do this trek in august 2018, this will be my first trek is it a good idea to do this trek alone. Is there any accommodation available in ghangria or govindhat. Kindly provide me detailed itenerary from the nearest railway station(we will come from Lucknow). Can you please let me know where to stay if we visit the places. A detailed itinerary has been sent to you please go through it. For more information you can call us on 9991242759 or you can message us your contact number so that we can discuss over phone about the trek. My family of 3, myself 54years, wife 45 & son 19 years old, from Mumbai planning to visit in month of July, please send me your details. Is the valley not open yet at this time? How about Nanda Devi park? We are planning to visit Valley of Flowers n Hemkund sahib by last week of may. Will we able to get glimpse of flowers during that time. The Valley of Flowers gets open in June. A detailed itinerary is mailed to you please check or revert you can call us on 9991242759. A detailed itinerary is mailed to you please check or revert you can call us on 9991242759. I am planning to visit Valley of Flowers in the month on July (End), is it a good time? I have around 6-7 days can you please share an itinerary. We have sent you all the itinerary please check or revert us back on our mail or you can call us on 9991242759. Dear Mr Sangwan, I am planning to reach Haridwar by the 1st week of June and Planning a Valley of Flowers trek in Mid June. Do you have any tours around that time? Also can you please mail me the itinerary with the cost included and things to be carried for the trek? We have sent you the mail as per your requirement. Please check and revert by mail or you can contact us on 9991242759. We are a group of 4 friends. 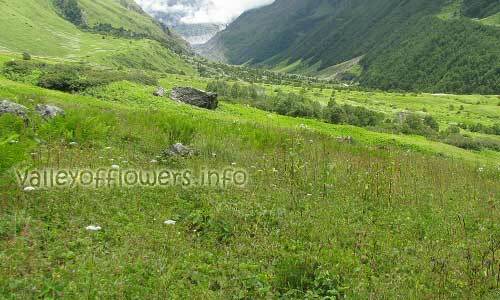 We are planning to trek Valley of Flowers to hemkund sahib from 12th May to 15the may…. We don’t have any other time slot ..so how is this gonna be possible…. Hi sir, The Valley of Flowers will be closed in May. hi devkant I want to visit Valley of Flowers in may or June. My wife had ligament surgery 2 years ago. What is the difficulty level in this trek? Please send detailed itinerary of this trek? A detailed itinerary has been sent to you.Kindly go through it and revert. I want to visit Valley of Flowers from Haridwar and back to Haridwar.please mail me itenary and also cost. Thanq. Please give information about going Valley of Flowers by Helicopter. we are planning for last week of october so is it recomended to visit Valley of Flowers in end of october. how can we book helicopter in advance. Also do let us know the weather conditions in october. Sir, Valley of Flowers is closed in October. What exactly does ‘steep’ mean with respect to Hemkund Sahib? Will we need to do actual mountaineering type of climbing? Is it recommended for beginners who have never trekked before? It is a well defined trek. You don’t need to climb the mountains. I am planning for Badrinath, Hemkunt Sahib, & Valley of Flowers. Can I cover these 3 places in 2 days or max 2.5 days after reaching Govind Ghat. Is this a good trek around mid August? Not possible in 2.5 days. Check the itinerary page. What type of vehicle is available from haridwar/rishikesh to govindghat? What kind of hotel/lodge is available in govindghat,ghangharia? Do I need to book them prior? Will I get a porter to carry our extra luggage throughout the trek? Can you give me some idea about expenses in various places? What would be the cost of hiring a pony for the last trek? Public transport is available from Rishikesh to Govindghat. You can book your own vehicle for the whole trip. Basic hotels are available in Govindghat and Ghangria, sometime the dates are very tight and you should book them in advance if possible. Porters are available at various places. We are planning to visit Valley of Flowers in mid-july. Can you send the dtailed itinerary for 4-5 days. We will be coming from delhi. Hi detailed itinerary has been sent to you. What is the cost of hiring a helicopter? Helicopter will cost you Rs. 3150 one side per person. We are planning to visit badrinath, Hemkund Saheb and Valley of Flowers in Jun-17 end. We’ll start on 22-Jun from Faridabad, Haryana and will come back to Faridabad on 26-Jun-17 late night. Can you pl. update the possibilities and what we can cover, if not all including cost for everything? If we come by our own car, can that be achieved? A detailed itinerary has been sent to you. Please check. The place is so beautiful, I want to visit it.Want your guidance surely. Anytime madam, just call us or mail us. Will be happy to help. We a group of 5 is planning for Valley of Flowers in mid August. Please help us if you give some inputs. The detailed itinerary has been sent to you. Kindly have a look. Your queries have also been duely answered via mail. Shall follow you up for sure. Hi we are a family of 3, husband wife and son. Husband 47, wife 45 and son 15. We are planning from 12-17th august 2017. Could you please guide as to how to go about it? The detailed itinerary has been sent to you. Kindly check with your mail. We are M69 / F64 and would like to visit char Dham and Valley of Flowers in 2017. How can you help us? We may not be able to take steep climb and also Poni due to back problems for her. Look forward to receive your quick reply. 2. If the above dates are fixed then what should be tour itinerary. What if instead of 1 day we want to visit Valley of Flowers for 2 days.? 3. Is it safe for women? We are having one departure starting on 16th August, 2015 but in that departure you will be able to get back to Haridwar by 22nd August, 2015. If you want to come back up to 21st August evening then you need to take a local or separate transport. Yes its possible to cover Valley of Flowers, HemKund & Badrinath between 16th to 21st Aug (to start and to get back Haridwar.). Its totally safe for woman as you can find many solo woman travelers on the trek and even many other women in groups. We are 4 men at the moment, may increase, planning to visit Valley of Flowers. Suitable dates 7th August departure. You have filled in details on our contact form. Hence you must have received a detailed mail regarding cost and other details. Please check and revert. Hello Devkant we are group 5 women who wanted to trek to flower valley leisurely. From 20th of agust. Do you have any trek during these days. Could you please send me the details. This year’s itinerary has been sent to you. You can check with your mail. If interested this year, you can contact. I have become a fan of yours as you are providing so much infmation to tourists. I am 62 Years who has made up my mind to go to Valley of Flowers. Please let me know if Doli is available at least to some distance in Valley of Flowers so that when the land beecoms flat i can walk. Please give me this information as i am desperate to visit this place as soon as possible. I have booked for the Valley of Flowers trek. Unfortunately, I got a ligament tear in my ankle and doctor has told that it will take 5 weeks to heal.. It will be a total of 6 weeks by the time I come for the trek. Is it advisable to come for the trek? Is the difficulty level very high? You should consult you doctor regarding this and the trek is moderate ones not the difficult ones. Your page is really very informative as well as motivating. You can go to Badrinath on the same day when you come back from Ghangaria to Govindhgat. You can go to Badrinath and Mana Village and come back to Govindghat same day. I was planning a trip in July-Aug and have come across this website. I would like a little bit of information as I am going to be travelling from Delhi with my wife and parents. My mother is a heart patient and hence some of the info requested beliow is important for me. Following are the answers to your questions. 1. Total number of days required will be 7 ex Haridwar, a detailed itinerary has been mailed to you. 2. Pony is easily available but Palanquin is not readily available. Charges for hiring a pony is 800-1000 rupees and to hire a Palanquin you may have to pay price ranging from 6000-8000 Rupees for a days itinerary. These prices changes according to demand and supply. 3. Ponies are available on all the days except the day you go to Valley of Flowers. You can trek as much as you can deeper you go better it is. The trek is steaper in some parts of first three kilometers. 4. Nearest base camp is Ghagaria. The charges to stay are highly volatile depending upon demand as supply is limited. The price ranges from 700 to 3000 rupees for a night. Could you please let me know of the total package cost for a trip to Valley of Flowers and Hemkund Sahib for 5 persons in the 2nd August-8th August week? Also, do you form bigger groups of tourists/people with guide or cater to smaller groups? It would not be very cold by temperatures would be approx 10 to 15 degree Celsius at Ghangaria. You will see lot of glaciers and snow all around, especially at Hemkund Sahib. If you wish we can also arrange for your accommodation/ guide etc. You can call us at +91 9991142759 for more details. 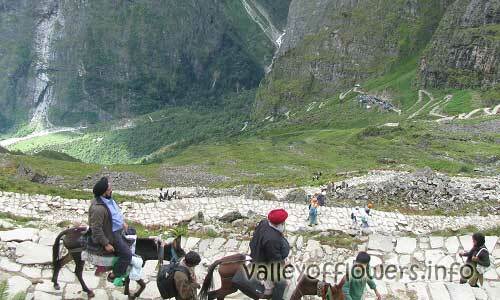 Valley of Flowers and Hemkund Sahib will open on 1st June this year. I would like to know if there would be any fitness test before taking this trek? Also , what are the charges for the 7 day trip? What is the last day to register for the trek starting on June 28th? on reading comments and viewing pictures, it seems Valley of Flowers will be a treat to watch, so next year, i am definitely coming to u Valley of Flowers. You are welcome dear Abhishek. I have a 7 year old daughter, so can i plan with a kid for trek to Valley of Flowers. i am planning from 15th august to 17th august. do you have a trek schedule during this time. You can come with your 7 year old daughter next year when she will be 8 years. We have departures every Sunday next year. I alone wish to visit in Aug 14. I come from Nashik. I am 60 yrs old but fit to walk. I have sent you mail for 24 Aug 2014 Date. Regards. This year the eldest person in our groups was 73 years of age. You are most welcome to come to the valley in our groups, please read Valley of Flowers trek travelogue by Tapan Ji for your reference. Can’t wait. Hope and pray weather God’d will be kind this year. Thanks to Devkant for all information and help. I am very much interested to go to Valley of Flowers .Me and my husband ages 42 and 46 . Can we go their as trek . how much time and distance we have to walk ? and is it riskey like kedarnath tragedy? There is no risk mam as all the treks and bridges have been rebuilt and Valley of Flowers was opened this year for only 6 Days in Oct, 2014. Visit Valley of Flowers opened in 2014 page for the latest news about Valley of Flowers. For how much distance you need to walk visit Trek itinerary Page. i am very very interested to going to Valley of Flowers. Thanks for the intrest, you can download the tour itinerary and other terms and conditions on our contact us page,by filling up a small form. Is the helicopter service between Govindghat and Ghangaria working at present? If so, what are the charges? What about power and hot water availability at Ghangaria? Rheum webbianum is an erect robust herb with stout stem of height varying from 50 cm to 2 m. Roots are stock thick and woody. Leaves are circular in outline and reniform cordate at base. Flowers are yellowish white and in terminal and axillary. The specific name is named after Philip Barker Webb as he was the first person to collect plants in Tetuan Mountains of Morocco.